Pull out your forks and cell phones to help celebrate Sumner’s delicious food with #SumnerEats! Whether you’re twirling pasta, sampling barbecue, savoring a giant cinnamon roll, or snacking on Sumner’s famous rhubarb pie, post a picture of it to Instagram with #SumnerEats. 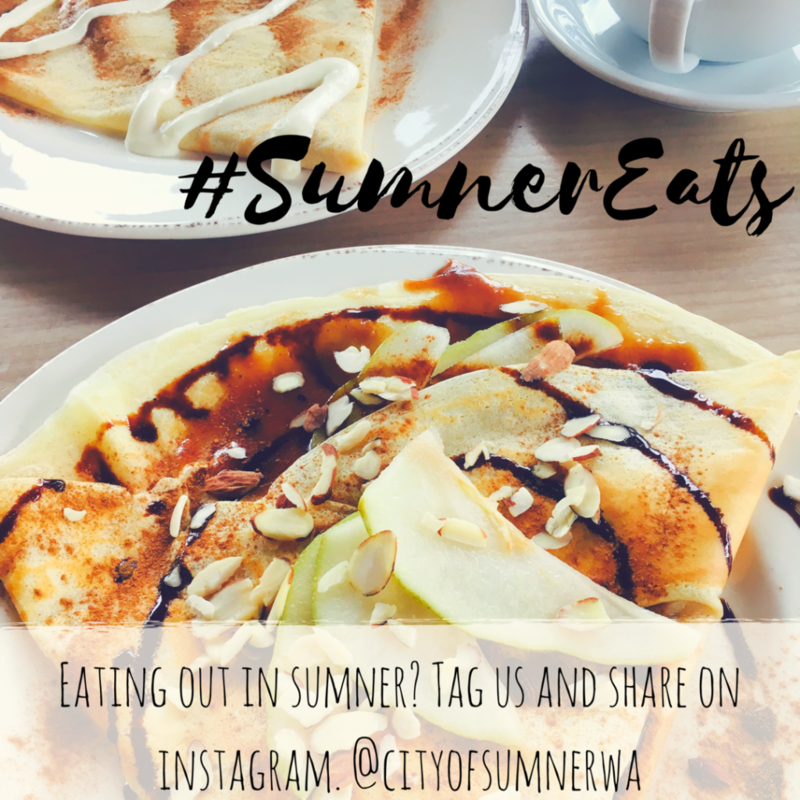 Or, tag us at CityofSumnerWA so we can celebrate your yummy photos. Beverages and food trucks count! You just have to be in the beautiful-and delectable-City of Sumner. Need help finding a restaurant? Click here for a full list of Sumner restaurants.